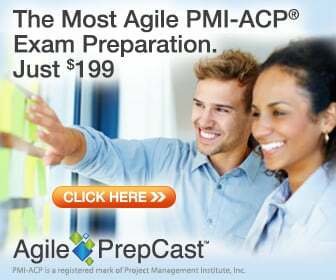 Though I was initially skeptical of the new PMI-ACP (Agile Certified Practitioner) certification, after doing some research on it, I found that it is a pretty comprehensive exam that covers a broad range of Agile practices and methods such as Scrum, XP, Lean, Kanban, etc. Some preliminary metrics seem to indicate that it is becoming the most widely adopted PMI certification outside the PMP and is gaining a clear lead over the others, e.g., PgMP, CAPM, PMI-RMP, PMI-SP. This is one of the best prep guides out there and I was able to pass the exam quite comfortably using this resource as my main guide along with practice exams, online course study and other helpful resources that you can find on my site such as PM-Prepcast and Whizlabs which I have used and consider the best.